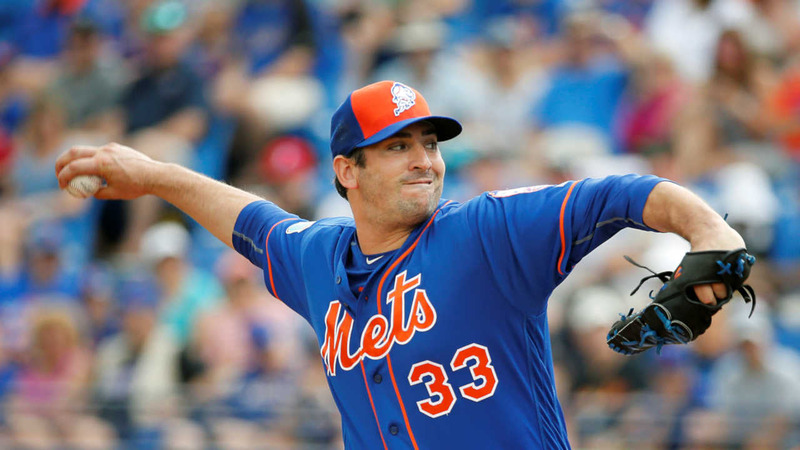 PORT ST. LUCIE, Fla. -- New York Mets ace Matt Harvey remains on track to start Sunday night's opener at Kansas City after passing a blood clot in his bladder. "I guess it started with a bladder infection that created a blood clot in the bladder," Harvey said Tuesday. "Passed it yesterday. It wasn't a great first day of my 27th birthday, but I cleared that and we had a little procedure done this morning just to go in and check the bladder, and everything was clear. I'm cleared to go, cleared to do some minor activities today, and then we'll be back to normal tomorrow." "I didn't really know what was going on," Harvey said. "I was having trouble using the restroom and, obviously, any time there's discoloration in your urine, it's not a great feeling. So I didn't know what was going on with my stomach, but we had some tests yesterday and everything is fine now." "Obviously from a personal standpoint it's a relief because you want to see guys in good health," Wright said. "You never want to see anything else. And then from a baseball standpoint it's good news as well. Good news on all fronts. Should be ready to roll and glad it's basically a non-issue."